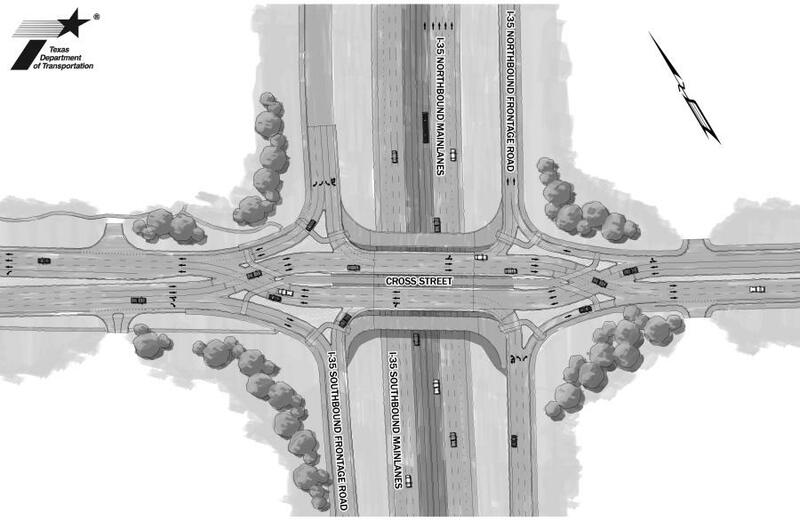 TxDOT has had the opportunity to run some metrics on how the area’s first diverging diamond intersection is performing, and the results are promising. The Texas Department of Transportation, in cooperation with officials from the city of Round Rock and Williamson County, celebrated the full project completion of the I-35 and RM 1431/University Boulevard diverging diamond intersection project. More importantly, they celebrated the fact that the new innovative intersection is working extremely well. Citizens have been driving in this new configuration since November 2015. Since then, TxDOT has had the opportunity to run some metrics on how the area's first diverging diamond intersection is performing, and the results are promising. Despite a 45 percent increase in traffic volume at this intersection over the last four years, it is already yielding a 13 percent reduction in morning travel times and a 44-58 percent decrease in afternoon travel times. * This means that even though a lot more cars are traveling through this area, they are getting through one of Round Rock's most congested intersections much quicker than before. This significant travel time decrease directly benefits motorists who live and travel in the area and use the I-35 corridor. Work on the $6.6 million project included the construction of a diverging diamond intersection, as well as a number of other improvements, including an intersection bypass road, ramp improvements and additional sidewalks for pedestrians and cyclists. The contractor for the project is Capital Excavation. *Travel time data and throughput results analysis performed by HDR Inc.